Attending networking events is fun, and can be very rewarding, but are you making the most of your efforts each time you take time to go to one? Think about your last five networking events. How many clients have you signed up? How many great connections did you make? Virtual assistants sometimes avoid in person networking because so many of us are introverts. I always recommend learning to do it well, even if you find it uncomfortable. Networking in person is one of the best ways to quickly build your VA business. But when you attend a live event, whether it’s a casual meet up or a bigger event, remember that you are doing it for a reason – to get clients. Now that doesn’t mean that you will go to an event and come home with 10 clients (wouldn’t that be great?). 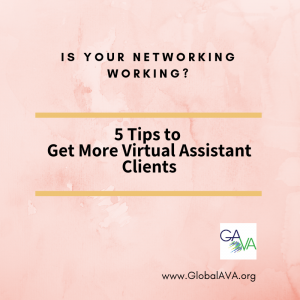 But you need to meet people who can potentially be your VA clients, and have conversations with them so that they know how you can help them with their business. How do you do that? You need to have a strategy for every event you decide to attend. It might differ slightly from event to event, but you need to understand why you are attending, and know what you need to come away with. The first thing you need to do is set a goal. That might be talking to a certain number of people, or finding a certain number of existing contacts and deepening your relationship with someone you already know, or collecting a certain number of business cards for follow up, or reaching out to someone for a partnership or referral. Your goal is personal and it’s up to you. But make sure that it’s very specific. By knowing exactly what you intend to get out of the event, you can better manage your time and activity while you are there. You need to be aware of who else is going to the event. If there are no potential VA clients there for you, think twice about even going. Not all local events are good for you. Sometimes you can find out specifically who is attending if there is a Facebook event for it. Have a look at some of the people who are attending. You might even identify a few that you want to make a point of connecting with. Or reach out to them ahead of time and let them know you are looking forward to seeing them at the event. 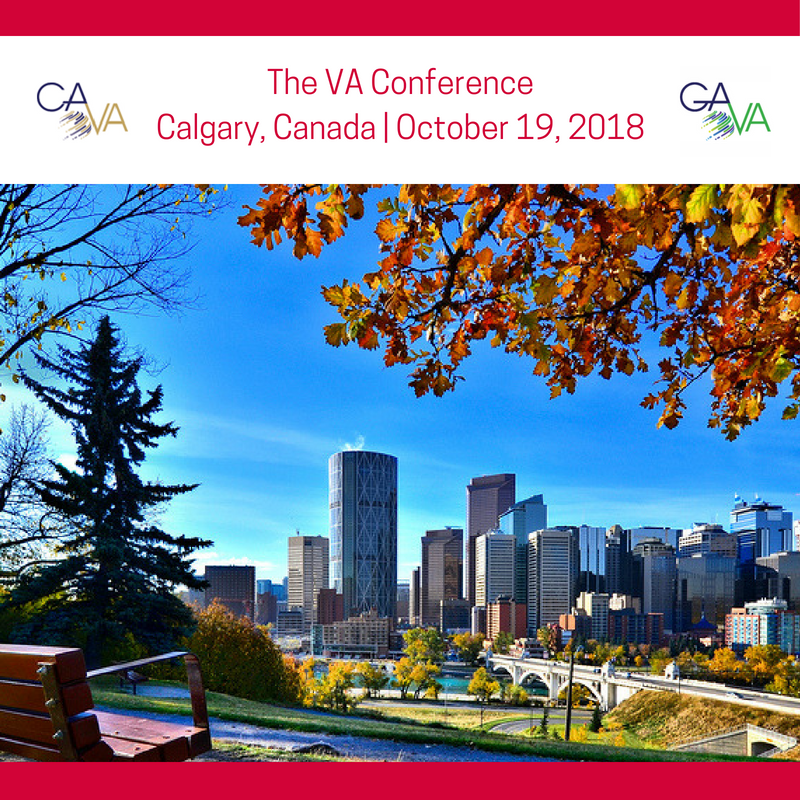 The talking part is usually the most daunting part for VAs when networking. But it really doesn’t need to be. If this part stresses you out, consider preparing a few questions to ask people – ice breakers or conversation starters. Another idea might be to scan a few industry related blogs before you attend, so you can talk about those. There are so many great ways to begin or continue conversations, but sometimes it take preparing ahead a little bit, and it can be very effective to do so. While you are having a conversation with someone, you will want to seed your expertise. We call it seeding because it is easy to do and is less ‘salesy’ than most VAs like to be. So when someone asks you how working with a VA works (for example) maybe you then ask them to give you an example of something they would outsource, and you can take them through how that might work. It’s relevant to their business and showcases your expertise at the same time. After the event is over, take a bit of time to analyze every conversation you had. What did you say that worked? What did you say that did not work? Did you get roped into a conversation you could not get out of? What could you do differently next time? Analyzing what happened and what you can change for next time is an important part of mastering your networking. Networking is a necessary part of building your business. And with a bit of strategy and some preparation, you can make it work better for you, every time. Take a moment now to look at your calendar. When is your next networking event? Use the steps above to build a strategy for it. Figure out who is going, what you want to accomplish, and do your pre-work so you are prepared to have memorable conversations with the other attendees. You’ll be more confident, you’ll make a better impression, and you might even find your next client! 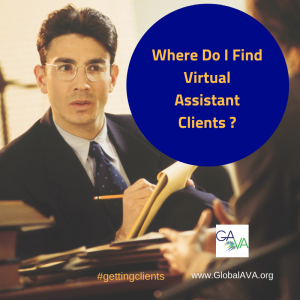 Where Do I Find Clients for my Virtual Assistant Business? Are you struggling to find clients for your Virtual Assistant business? Many VAs struggle with this, not only at the beginning of their business, but all the way through it. Why? Because they don't have a plan or a strategy to get clients. Some of us start our business with our old boss as our first client (I did!). Or a husband, a neighbour, a friend. So we don't get used to doing any marketing. For marketing to work properly, you need to have a plan and do it consistently. Getting clients is not difficult if you use a system that works for you. But how do you figure out what works for you? Think about the clients you have now. If it's your old boss/friend/husband/neighbour, what made them hire you? How did that conversation go? Who else do you know who has a business like theirs that you might be able to offer support for? That's the beginning of your plan, and it's a great way to start thinking about who you can support. When you are trying to get clients, you need to be crystal clear on what you offer people. If you offer a laundry list of services, you aren't speaking specifically enough to anyone - and your message will fall flat on (almost) everyone you tell it to - whether that's in person, in your social media, or on your website. Your message needs to talk about the services you provide - so that your client will know you can help them. Do you provide general admin services? Awesome. Every single business owner out there needs admin help. But, if you target real estate agents, for example, you can tell them you will update their online listings, you can help schedule appointments with clients, do their follow up after open houses, and so on. It's far more specific and it speaks to the client in language that could move them into action to work with you. How do I help my clients? What is that you allow your clients to be, do or have, by doing the work you do for them? For instance if you do social media work - how does that help them in their business? It gives them more exposure (so more people can learn about their business). It can help them bring in new prospects (who can become their clients). It showcases their expertise (when you post about what they do, their clients get to know them better). It gives them back time (if they are doing the social media creation & posting themselves now). Knowing how your services help your clients on a tangible level will help you with your own marketing message, and in your networking situations. Where are my clients hanging out? When you are seeking out places to get clients, go where they already are. That might be on Linked In, it might be in a Facebook group, it might be at a local event, or you might have to travel to an event. The key is to go and seek them out where they already are. Why? Because chances are they are hanging out with their colleagues (like we do in the VA groups). And wherever they are, they are probably talking about their business - what they love about it, what they are struggling with, and what they need help with. Professionals usually spend more time on Linked In for their business. Creatives might be in Facebook groups. Small business owners might be at local business event gatherings. Business coaches or speakers might gather at larger events. The point is, think about who they are and where there are a large group of them. After all, we don't just ever want one client. We want lots of clients! Then you just have to put it all together. To find clients, you just need the answers to these three questions. What do you do, how does it help them, and how you can get in front of them? When you go where they are and build relationships with them, you learn more about what they need and you are in a better position to build service packages that are easy to sell and make sense to them. If you are struggling, ask yourself these questions. If you don't know the answers, that's the problem. But with the answers, you are already more than halfway to new clients! Attending business events is an important aspect of boosting your business's profile. Business events give you the opportunity to meet potential customers, clients, partners and more. It's important to keep in mind how to get the most out of business events as you choose the events to attend. Remember Why - It's important to remember why you are attending business events. Knowing why you are attending will go far in helping you choose the right events to attend. Not all events will be right for your goals. Don't Be Cheap - Take business cards that accurately reflect your business. It's not the time to get the free cards or to be cheap. Once you leave that event, all the people you make contact with will have to remember you from that card. Be Prepared - Practice your 30-second elevator speech so that you can accurately, and on the spot, tell people what you do such that they understand what it is that you do. If you can come up with a memorable way to explain your business, all the better. Take Control - They say that the person in the power position is the one who is going to put out their hand first and meet people. Not only that, it's important that you be the one to ask open-ended questions to the people that you meet. The more you let people talk about themselves, the more they will remember you. Make Meetings Purposeful - Meeting fewer people is better than meeting a bunch of people that you won't remember. Try taking some notes on the back of each business card that you receive so that you can use that later to jog your memory. Dress the Part - Each event has its own style, so it's important to do a little recon to find out how people normally dress. If this is an often-repeated event you can likely find photographs of others who have attended. For the most part, business attire is expected at business events. Dress to make an impression. Be a Resource - One of the best ways to ingratiate yourself to those that you meet is to become a resource for them. If you can recommend another person to do a job for them, even if you can't do it yourself, they'll call you again. Follow Up - After each event, always follow up with an email, note or card. Find them on LinkedIn.com, or other business-related social media. Googling people you meet is not stalking; it's going to help you learn more about them so that you can know how to approach them when it comes to getting business. Evaluate Yourself - After each event, look back on your performance and write down what went right and what could have been better. This is an important component of any business event because it will make you better. You cannot understand the value of attending business events unless you can understand the value of networking. You also need to understand the market you are in and the value that the people within that market place on business meetings. There are so many different business events today to choose from, so be sure to do your homework before attending just any meeting. Find out if your target audience is there, or if there are people there who offer complementary products or services to your same audience before you bother wasting money on attending. If you do all that, you'll be successful at every business event you attend. Attend events consistently. Going just once every few months is almost a waste of time for networking purposes. Building business relationships takes time and patience. Have a clear understanding of what you do and why, for whom, and what makes you special or different from others doing the same thing. You must first have a clear understanding of what you do before you can articulate it to others. Establishing and building relationships, not hard selling, is the key to successful networking. Be prepared to share your expertise and contacts. Crucial to your success is that you treat networking as an exchange of ideas, information and experience. You are not selling or simply telling or “sponging” off of others for your own benefit only. Be generous in sharing your talents, experiences, and ideas, and always be respectful of those around you. Make people feel important, in order to make yourself important to them. To avoid being tongue-tied when you try to start a conversation with someone you don’t know, prepare a self-introduction that is clear, interesting, and well delivered. It shouldn’t be longer than 8-10 seconds. Although practicing your introduction might at first seem silly and artificial, it will eventually help you make an introduction that sounds natural, confident, and smooth. Dress for the occasion. This could mean dressing the way that your customers dress or dressing the way that they expect you to dress. First impressions are made in a matter of seconds. Have your own name tag with business name made up – it’s inexpensive and shows professionalism. It also shows that you are prepared and pay attention to detail. Organize yourself. Always carry a pen and paper with you during an event to jot down miscellaneous information that you may need to remember. (i.e. : a reminder to send a contact further information about your product or services). Never, never, never, write on a business card that a contact has given to you. Many people view this as disrespectful and bad manners, and you can never tell if the person that you have just met will be someone who views it this way. Never leave home without your business cards! Let preparation and practice be your guide. Spend some time planning your conversation generators. In many networking events, you will find yourself with time to “mingle” among the other attendees before the formal program begins. It may be beneficial for you to spend some time planning and preparing how you will “work the room” to get the most from your efforts. Arrive early. It’s much harder to break in on conversations when you arrive late. Wear your name tag on the right side to provide an easy sight-line to your name when shaking hands. Approach and introduce yourself to people standing alone, or groups of three or more. When two people are talking together, there is a possibility that they know each other and are engaging in a personal conversation. However, their body language (i.e. : are they facing each other as they talk? ), will give you a good indication if they are approachable. Have an effective handshake. You’ve probably been on the receiving end of at least one “bone-crusher” and one “limp fish.” Practice your handshake to avoid giving one of those yourself! Also, always keep your right hand free, and hold drinks in your left hand to avoid cold, wet greetings. Ask “feel good’ questions like, “How did you get started?” or “What do you consider a challenging project?” You will learn a lot about your contact’s business, while showing interest in them as a person. LISTEN CAREFULLY, and don’t monopolize the conversation. When appropriate, offer a business card, and ask the other person for one of his or hers. Sometimes, it is more appropriate to exchange business cards only when you depart from one another. Whenever you give a business card, ask for a business card. When given one, don’t just take it and place it in your pocket. Make the person feel important by looking at their card for a few seconds. You might see something that could be a topic of discussion. . Confirming the information is a nice way to engage. Then place it in your wallet or in your jacket pocket. Some people give 2 business cards as standard practice. That way, their contact has one card to keep and one card to pass on to someone else, or perhaps to keep in a different location. Again, take your business cards absolutely EVERYWHERE! Maximize every “per chance” meeting. You never know when you might meet someone who can help you. Family or friends social events could produce unexpected encounters with people. So you’re going to a birthday party for your friend’s child. You never know who you might meet there. Once the event is over, your networking doesn’t stop! Be sure to follow up with those people you’ve met, keep in contact, share information and offer to help in any way you can. Be sure to send a written acknowledgement or “Thank You” note to your networking contacts. It’s also a great idea to send a “Thank You” note to the host or sponsors of the event. You will be remembered for it. Call those you meet who may benefit from what you do and vice versa. Express that you enjoyed meeting them, and ask if you could get together and share ideas. You want to build the relationship, so take the first step! Some networking events will provide a meal. It is crucial to practice good table etiquette to make the best impression. At a sit down affair, don’t sit as soon as you get there. Keep moving around and networking as long as possible. At the dinner table, introduce yourself at the beginning of the evening to everyone at your table. If you are familiar with the others at the table (whether you knew them previous to the event, or have just met them), make the introductions. Proceed as if you are the host of the table. Listen to learn. Start the conversation by asking questions, such as why people are there, what they hope to gain, how they found out about the event, etc. Keep your business cards handy, but not on the table. Do not deal them out impersonally. Consider volunteering to help out at various networking event. This puts you in a better strategic position for meeting people and passing your business card along. Others might view you differently, if they know you are willing to go the extra mile in helping them. This is a great way to stay visible and give back to groups that have helped you. Zig Ziglar, one of the most successful sales trainers in the world says “if you help enough people get what they want in life, you will get what you want in life”. Risk rejection – it’s not the end of the world. Rejection happens to everyone at one point or another. Some individuals may not respond to your introduction in the way you would like. If that happens, don’t take it personally. Politely move on. Maintain an outgoing and friendly attitude and always keep your sense of humour! Never make assumptions about the person you are talking to. Everyone has friends, colleagues, relations and contacts, and one of them might be just the person you need to speak to. Do not hand out anything other than your business cards at an event. If a contact is interested in more information, send them a brochure or other information after the event. This provides you with a great opportunity for a future follow-up with them. Networking involves WORK. With preparation, effort and enthusiasm, you’ll get a great deal out of it. Don’t feel intimidated. It doesn’t matter how big or small your business is. You are dealing with a person. They have the same hopes and fears that you have. Remember you have one mouth and two ears. Use them proportionately and you’ll be well on your way to being a successful networker! Lately there seems to be a lot of talk about how to get your business known and how to find clients. Since September is rolling around before we know it, this might be an opportune time to address networking. Networking is such a vital part of growing a business, especially a VA business. So what is networking, how and where do you start? First and foremost, networking is about building relationships. Think about it for a minute. If you were looking for someone to fix your computer or do some work in your home, where would you look? Would you go through the Yellow Pages and then hope that you found someone reliable, who knew their stuff and was the best person to handle your needs? Would you really trust someone that you didn’t really know? This is what networking is all about. You need to get out there and get yourself known. Once people get to know you and your business then it is easy for them to refer you to others. Why? Because, they have built trust and a relationship with you. They know what type of person you are and what your work ethics are by how you present yourself. This works online and in person. Now where do you go to network, what groups can I possibly look at and where do you find them? Remember that networking is an ongoing investment in your business. Think of it as courting your potential clients, it doesn’t happen overnight, it does take time but what lasting relationship doesn’t! Happy networking!